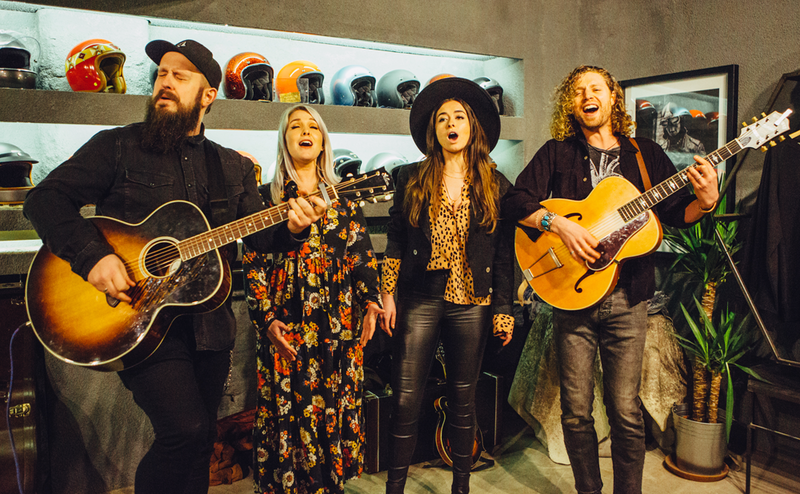 We just wanted to say a massive thanks to everyone who joined us at our official launch party last night in London. It was an amazing night, one which allowed us to well and truly bring Black Deer to life – giving everyone a real taste of what’s to come in the Summer. 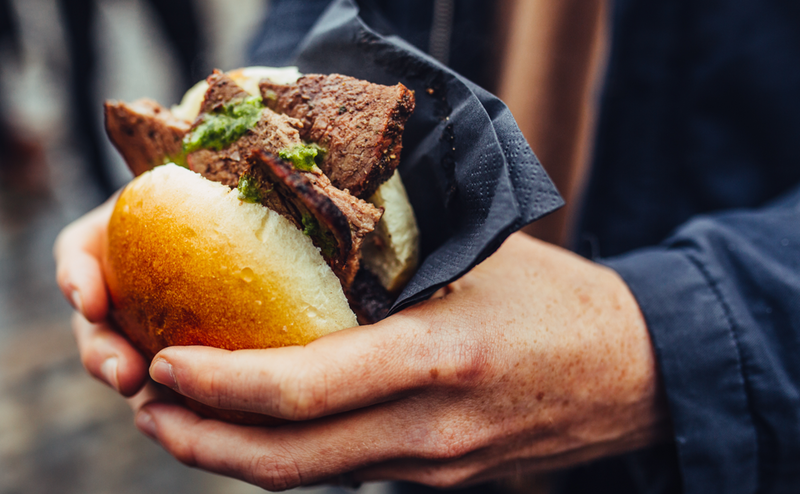 We had Jon & Ben of ‘Live Fire‘ serving up delicious cuts of seasoned BBQ’d beef with homemade chimichurri sauce. Delicious. The boys were ably assisted by master butcher Steve West, who’ll also be joining them at the festival, where he’ll be on stage demoing his butchery skills. 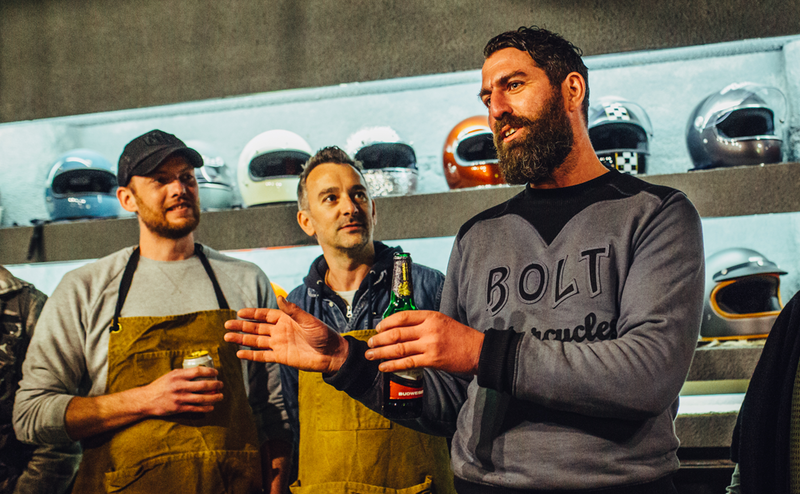 Andrew ‘Bolt’ Almond, whose custom motorcycle shop (Bolt London) really was the perfect venue. The understated, authentic, and community feel of his place is what you can expect from Black Deer in June. Luke and Maggie, the husband and wife team behind Deverells, showed us what we can expect from The Marketplace at Black Deer. 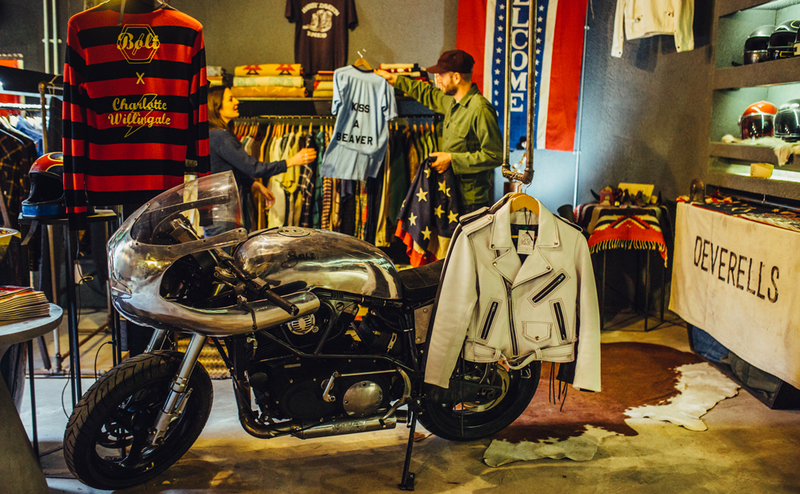 They took out a corner of the venue, and had a mini version of The Marketplace on the go – stocked full with rare authentic American vintage wares and handcrafted pieces. They’ve actually taken up residence in Bolt for the weekend, so pop on down and check out their amazing wares. Last but not least, we had the artists. And what a bunch we were lucky to have. 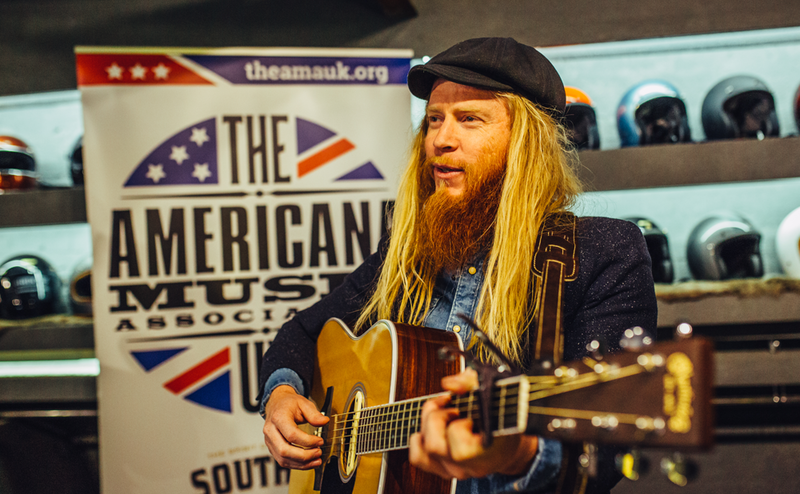 Kicking things off was the amazing Stu Larsen. He performed a number of tracks, including a cover (which he did say he’ll probably bring back out at the festival, so we won’t spoil it) that drew the crowd to a silence as they listened. Following on from Stu were The Wandering Hearts. 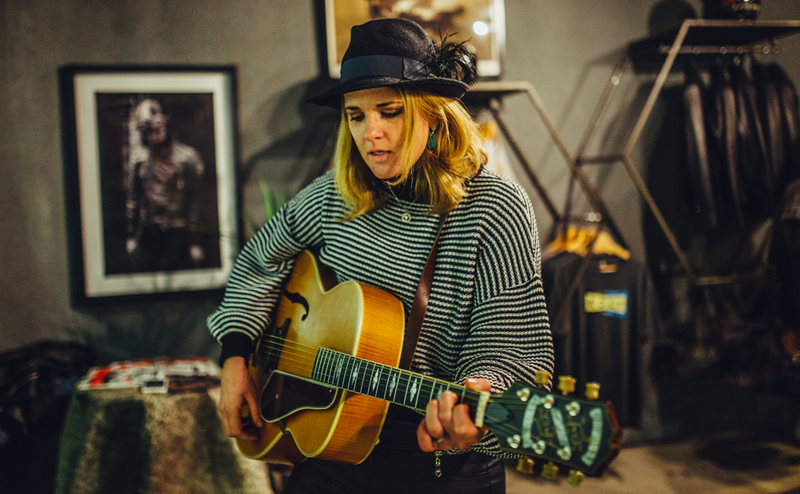 It’s easy to see why they picked up the coveted ‘Bob Harris Emerging Artist’ award at this year’s UK Americana Awards – a prize hand-picked by the music legend himself. Definitely a performance not to miss on the Friday night at Black Deer. Elles Bailey was next to perform. And after a chance meeting in the pub beforehand with fellow Black Deer artist Steve Young, Steve (not due to perform on the night) provided the strings to Elles smokey blues vocals. And thanks too, to Stevie from the UK AMA’s – to have her and the UK AMA’s fully behind what we are trying to achieve means a lot. And also to the guys at SupaJam – for us, helping them out with the great work they do is what it’s really all about. It was a great night had by all. Roll on the summer.